It took much longer than expected, but I’m happy to announce that “Heart of Deceit” is finally finished! (You can get the paperback here and the Kindle version here.) My apologies that it took so long to complete. The past few years have been full of hospitals, doctor visits, and caregiving, so needless to say family has been taking a higher priority at the moment. But despite that, I didn’t forget about you, dear readers, and I’m still writing away! I wrote until my eyes were wet. And editing had caused me woe. But in the end, my story worked! I may have done a happy twerk. I thought I’d never see the light! And without it, it never would. My book is done and now complete! I will now celebrate this feat. But not too long! My story waits. The next book surely can’t be late! This entry was posted on August 8, 2016 and tagged book release, books, ebook, heart of deceit, kindle, ode to finished books, poem, writer, Writing. I was thinking the other day about how quickly time flies. It seems like just yesterday that my days were filled with school, playing on the playground, and discovering new things, and that was (gasp) twenty years ago! I used to laugh when people would tell me that time seemed to go faster with every year you gain, and now that I’m in adulthood and getting older, I’m realizing how true that statement is. Pretty soon, I’ll be in my 40’s…then 50’s…then 60’s. In a blink I’ll be in my 80’s. I think there’s a lesson in that, and too often we let it go ignored. As I was thinking about how I spend my time, I was inspired to write a poem and had to write it down. It really made me look back at the years I’ve had so far and wonder if my time was well spent or not. Did I build relationships? Love others? Be kind and generous? Or did I chase after frivolous and meaningless things? Did I waste time, or did I use it wisely? And how often do we ignore people or important things simply because “there’s not enough time”? The kid is all grown. The days are now passed. and nor will it stay. How was it all spent? This entry was posted on March 10, 2016 and tagged poem, poetry, reminiscing, spending time, time, wasting time, Writing. This entry was posted on February 4, 2016 and tagged 1 Corinthians 13, love, poem, poetry, rhyme, Valentine's Day, Writing. 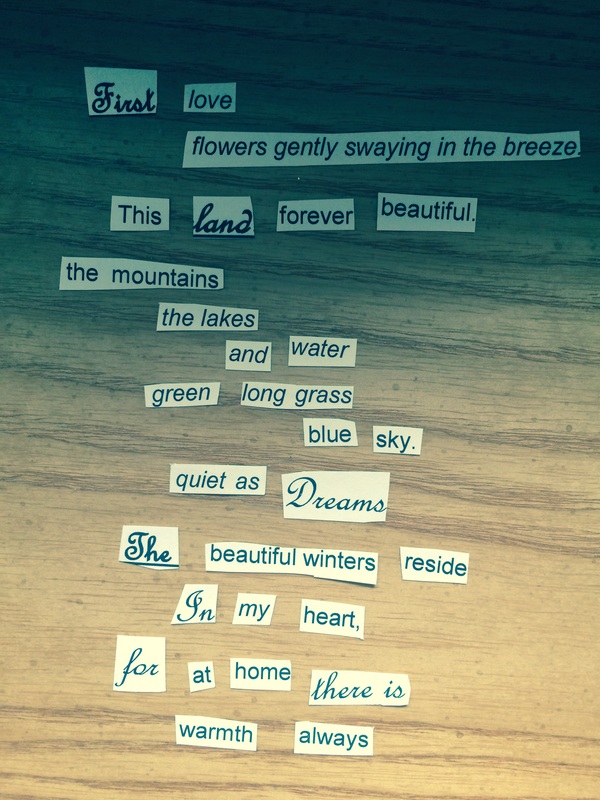 This entry was posted on February 25, 2015 and tagged Music, piano, poem, poetry, prose poem, Writing, writing201.